ProcessFlows‘ business partner Annodata adds Mobile Messaging Solutions to its portfolio for customers and uses the very same technology in-house to simplify and improve communication with its mobile workforce. Annodata Business Communications specialise in all aspects of voice, data and document communications. The organisation works with a broad portfolio of partners, including ProcessFlows. This enables them to offer customers a wide range of products, from reprographics, post room equipment, document management solutions and telecommunications, through to IT Hardware & Software, all backed up by nationwide support. 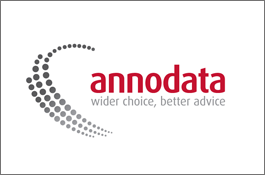 Annodata clients have included large organisations such as The Hilton Group, GlaxoSmithKline and Compass Group. A solution for use in-house and to offer to clients. It is important to Annodata that they are confident in any product’s capabilities and fully understand the functionality and benefits from a prospective customer’s perspective, before they add it to their portfolio. As a Channel Partner of ProcessFlows, the company was already running other ProcessFlows’ solutions in-house and it was a logical move to add their SMS solution to the internal communications suite, whilst adding the solution to their portfolio for customers. Integrating ProcessFlows’ Text Message Solution into their communications strategy has enabled Annodata to eliminate many of the issues previously encountered through traditional means of communication. ProcessFlows’ Text Message Solution offers an easy user interface and a simple installation – a very positive selling point for any reseller. As Sales Executives at Annodata typically spend a lot of time either on the phone, driving, or meeting with customers and suppliers, they are not always instantly available to receive and respond to important calls or emails. Annodata recognised the potential for an SMS solution which would allow field staff to be contacted discreetly, allowing for important messages to be received with minimum fuss or effort. As text messages are sent from an exchange mailbox, managers are able to send a text message to a group of people simultaneously and instantly, receiving the responses in their inboxes in the same way as any email. The solution has enabled real time management of the service department, maximising the actual time spent at customer locations by minimising wasted time waiting for instructions on where to go next. Service Engineers are now sent information about their next appointment via SMS; address, machine model, what the problem is, along with a contact name etc and number. In reverse, engineers text the office to sign off jobs, which enables an accurate report on progress to be maintained. The Service Engineers can also text prospective leads they become aware of, to Telesales Executives for follow up, maximising opportunities for the company. Finally, automated fault alerting within the IT department is another area where the Mobile Messaging has proved invaluable.